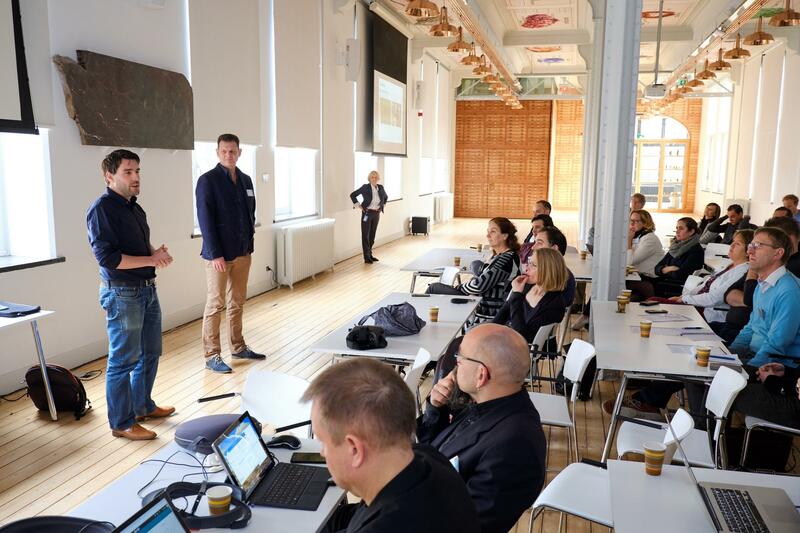 Beerend Hierck (teaches anatomy at Leiden University Medical Centre) en Thomas Hurkxkens(New media lab Leiden University) present their project ‘With holographic projection to customized education’ which was one of the winners of the Surf Innovation Challenge2016/2017. Inspired by Holonatomy app of Case Western University in Cleveland and the case of Marco van Basten, the famous Dutch soccer player who suffered from severe ankle problems, Hierck en Hurkxkens developed the idea of developing a virtual model of the ankle and pair this to movements of the ankle of students. The next step is to combine the AR learning tool with story telling techniques, using the story of soccer player Marco van Basten: ‘How can we help Marco van Basten to play soccer again?’ The big question for Hiercks is: will these educational innovations turn students into better doctors? Programming a good virtual ankle was not the biggest problem, but the use of a real ankle to control the virtual model appears to be very complicated. This is not possible with the Hololens and Kinect turns out to give a huge delay, so some challenges still have to be defeated. When the app is finished, it will be available for anybody. The Erasmus Medical Centre is currently developing a similar app to use in plastic hand surgery. At Leiden University, archaeologists are also involved in using the Hololens in education. LDE CEL is looking for opportunities to pair these initiatives to develop generic learning scenarios and feedback tools.